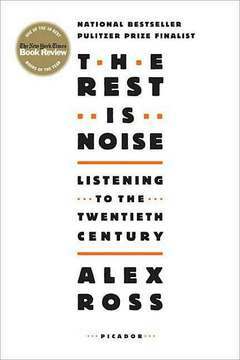 In his insightful, provocative and usefully gossipy book The Rest is Noise (2007), the writer and critic Alex Ross took a free-wheeling survey of 20th century classical music and addressed why the damn stuff had become so difficult for "modern" audiences. As with jazz -- which lost its populist mandate when free form arrived and alienated those who liked to, if not swing, at least find a decent tune - so too classical music had become progressively more and more "out there" in the 20th century. Ross' book not only explains why this happened in classical music, but why in many ways it was the inevitable progression and how one composer used the platform of a predecessor to extend the contract of the music. And yet of course many of these great maligned composers (do we dare mention the riots when Richard Strauss, Gershwin and Stravinsky unveiled seminal works) have come to be maiinstream in their own way. 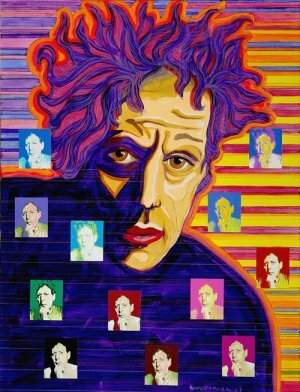 And so it is with Philip Glass who, as a cornerstone of what has become known by shorthand as "minimalism", became the darling of the downtown New York scene -- much as the Velvet Underground did. 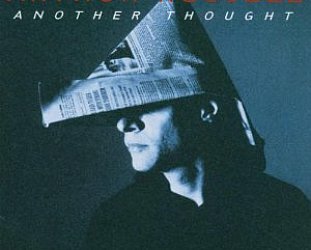 As Ross noted, Glass' music which rejected the tonality of its immediate predecesssors gave off "a kind of Times Square neon glow". 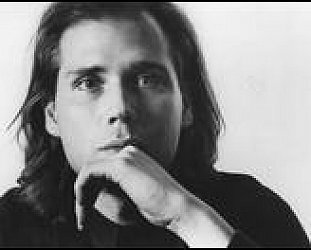 And yet, as Ross also observed, "the works of Terry Riley, Steve Reich and Glass also had "spiritual links to the capacious West". Minimalist vistas "evoke the experience of driving in a car across an empty desert, the layered repetitions of the music mirroring the changes that the eye perceives -- road signs flashing by, a mountain range shifting on the horizon, a pedal point of asphalt underneath". 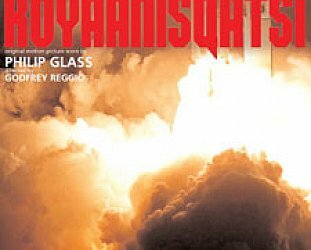 Which may well by why Glass' seminal and most popular work was his music to Godfrey Reggio's film Koyaanisqatsi. And perhaps why in this exceptional -- if perhaps overlong and rather too domestically intrusive -- documentary that film is addressed on the first of the 12 parts. As Reggio observes about what Glass says was the perfect, equal collaboration between film maker and soundtrack musician, "He [Glass] has created a musical language which is the acoustic door to the unknown -- something possessed of an enormous complexity, and simplicity . . . like an ever-ascending score that never reached to the heavens". Reggio also quotes Eisenstein who said you should be able to see the music and hear the image. And that rare collaboration between Glass and Reggio certainly achieved that synaesthetic symbiosis. And that is just in the first part of this three hour doco (during which Martin Scorsese - for whom Glass scored Kundun -- and Woody Allen also appear). 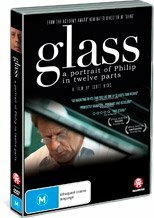 Glass is an exceptional documentary and insight into the life and mind of this workaholic composer -- far too long for the casual listener to his music of course -- and there are perhaps needless and lengthy digressions (There's a nice line about "the wife of the moment" and such things however). But as with Ross' much recommended book this does place the composer in a larger context. We would like to think that the Velvet Underground (not to mention the Beatles) sprung from nowhere -- and that in the classical world that there was some weird chemistry that allowed for Glass, Reich and La Monte Young to all appear simultaneously. In a sense there was: the main players speak of that wide-open world of New York in the Sixties (which Patti Smith also speaks of in her engrossing autobiography Just Kids). Sometimes there is a window in the wider world that is open (as when attention shifted from Paris to NYC). A Glass notes here: he decided not to bother with finding people to play his music but just started his own ensemble. "I didn't have to ask anyone's permission or approval". And so an art form -- free of the salon, the state sponsorship, the requirements of a record company or a multi-media organisation used to investing in artist -- is born. 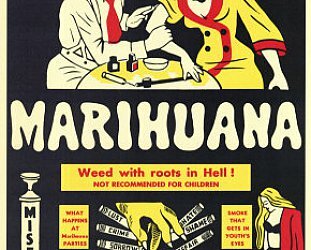 Of course what is also clear in this doco is that despite the fact we see Glass tossing mushrooms in a pan in his kitchen and joshing with the many, many children, his business is -- like God's, which also comes with handmaidens and priests and acolytes - a Very Big Business indeed. I guess he doesn't miss being a plumber and cab driver though. 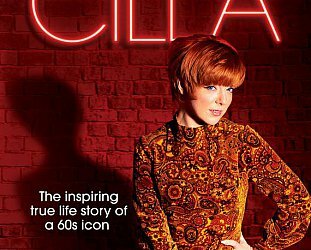 A remarkable insight which follows Glass across continents and through ideas which are as grand as an opera and as intimate as dinner with the family. Essential if Glass' music has ever moved you.